The 2017 Volkswagen Passat is a bit like the wise, elder statesman of the midsize sedan class. Indeed, VW has been selling the current-generation Passat since the 2012 model year, and every rival sedan has been redesigned in that time. Still, the Passat gets a lot right, particularly for the things that most shoppers are looking for. True, this is a sedan to get if you''re not interested in flash and flare. 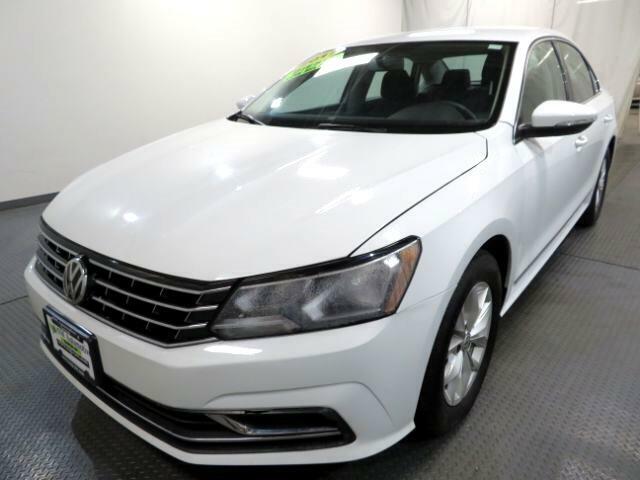 With reserved but classy styling, the Passat has a pretty timeless look to it. But it''s a comfortable family shuttle thanks to its roomy backseat, big trunk and easy-to-drive nature. Highway manners are excellent, too. It rides smoothly, the cabin keeps out most of the wind and road noise, and the front seats should keep you comfy on a long road trip. VW gives you a solid set of features for the money, too. ***Internet special. Price reflects discount for cash buyers. Traditional and special financing is available for qualified buyers. Please contact us first for availability as our cars go fast at near wholesale prices. Prices are subject to change. Sales Tax, Title, License Fee, Registration Fee, Dealer Documentary Fee, Finance Charges, Emission Testing Fees and Compliance Fees are additional to the advertised price. All options and condition of the vehicles must be verified with the dealer, any descriptions or options that are listed maybe incorrect due to automatic data transfer.